Company Overview - Henan Wenxiang Import & Export Trading Co., Ltd.
5YRSHenan Wenxiang Import & Export Trading Co., Ltd.
Henan Wenxiang Import and Export Trading Co., Ltd. is a company that has possessed independent import and export rights. It is located in Luoyang city which is an ancient and heavy industrial city in China! On the base of cooperation with Chinese top manufacturers, we are engaged in the business of exporting four wheel electric vehicle, ice cream machine,donut machine. 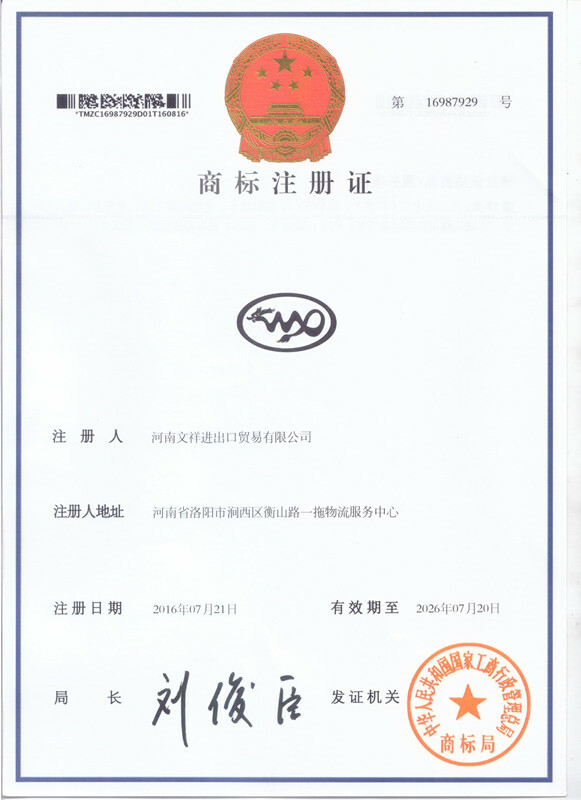 With complete certificates, good performance and good afer-sale service, our products have won high reputation on the market. "Professional, pragmatic, energetic" is the feature of our sales team, and "safe and efficient" is the purpose of our company's logistics team.Our company always follows the international trade practices, adhering to the "value contract, keep promise, quality service, mutual benefit and win-win" business philosophy. Thus our company has had the ties linking the domestic and international markets through trade, and established a good relationship with a number of well-known domestic and foreign companies. We are willing to cooperate with friends at home and abroad for common development.